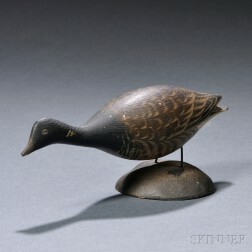 Save your search - find out immediately when "superfluous paint specks" is available at auction! 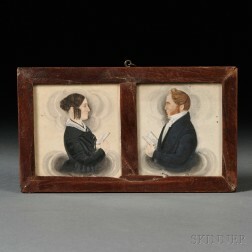 James Sanford Ellsworth (American, 1802/03-1874) Pair of Husband and Wife Portrait Miniatures. Robert Deacon Peckham (American, 1785-1877) Portrait of Phineas Reed. American School, 19th Century Portrait of a Child Wearing a Blue Dress and Holding a Pink Rose. American School, 19th Century Portrait of a Gentleman Holding a Red Book.